In the area of telematics and infotainment technologies for automobiles, Magneti Marelli presented the first open-source platform for in-vehicle infotainment devices. The platform complies with automotive requirements in terms of performances and durability, and, at the same time, is equipped with software developed and certified according to GENIVI Alliance compliance specification. GENIVI is an alliance consisting of over 150 companies located around the world – including leading carmakers, automotive component suppliers, electronics and ICT industries – whose main goal is to guide the widespread adoption of an open-source platform for IVI (In-Vehicle Infotainment) devices. Magneti Marelli is one of the founding partners of GENIVI. Looking to the ultimate goal of the “connected car”, the automotive world is increasingly opening up to the “outside” world, to the Internet and to the “consumer electronics” devices. 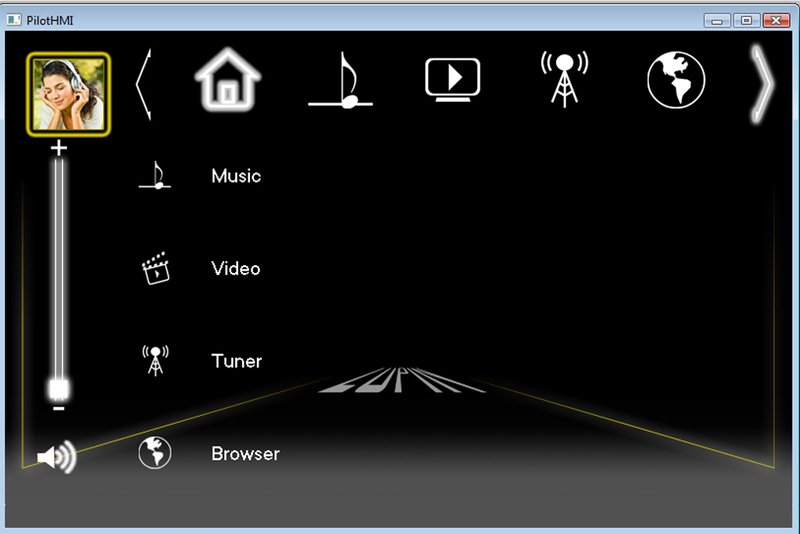 In this view, the connected car can receive on board rich information and high-quality multimedia entertainment; allow the car to communicate with the passenger’s consumer devices (mobiles, smartphones, tablets, etc. ); enable interaction with central infrastructures for data collection and exchange . The medium-term objective is to connect cars also to the “Cloud”. In this scenario more and more vehicles and models will have to be equipped with infotainment systems incorporating increasingly complex features, including multiple functions, high flexibility, high updating speed and ability to communicate with external devices and software in continuous evolution. The compliance specification set out by the GENIVI, supporting the definition of an open-source platform, aims at making available to the carmakers and their suppliers a common underlying framework in order to simplify the development and shorten the time-to-market for the In-Vehicle Infotainment devices, that have historically seen multiple, parallel and proprietary developments across the industry. The Magneti Marelli project benefits from the Company’s specific and established know-how in integrating complex systems and technologies into the vehicle environment and from consolidated expertise on the subject of “open software” platforms for Infotainment and Telematics applications. Technically speaking, the platform is Linux-based, and incorporates a connection to the electronic control network of the automobile. The platform already includes the basic structure that enables functions such as connectivity to consumer electronics devices, display of Internet contents, wireless connections (WiFi, 3G and Bluetooth), playing of audio/video and high-quality multimedia contents, radio and digital hi-fi audio management, and installation and updating of new apps.